Viewed beautiful scenes of rice patties mixed with colorful houses outside of Tana. Spent time in villages still fascinated by white skinned Vazahas (foreigners) on the Tsiribihina River. Climbed sharp endemic rock forests in the Tsingy de Bemaraha. Believe it or not this is not a dead leaf but a living lizard. I will miss the chink-chink of walking snack hawkers rhythmically rapping against their two foot diameter snack serving platter strung around their neck. I will not miss however the very basic food or the barely trickling cold showers. All this adventure came at a price of poor infrastructure where getting anywhere in this hilly and mountainous country takes time. Often with prolonged jostling in uncomfortably cramped seats and potential blockage of roads by broken or stuck trucks. It’s also the only place I’ve been where the majority occupation for travelers seems to be biologist. Let me tell you how I learned to navigate the country. Everything in Madagascar is reasonably priced except for hotels in Tana (Antananarivo), anything requiring gas and park activities. ATMs or bringing money is the best approach here, nowhere accepts credit card. ATMs are found many places but not everywhere. It is necessary to approximate costs, especially for costly parks, when leaving a town off the national paved roads. There are more ATMs than listed on this article but it gives you an idea. 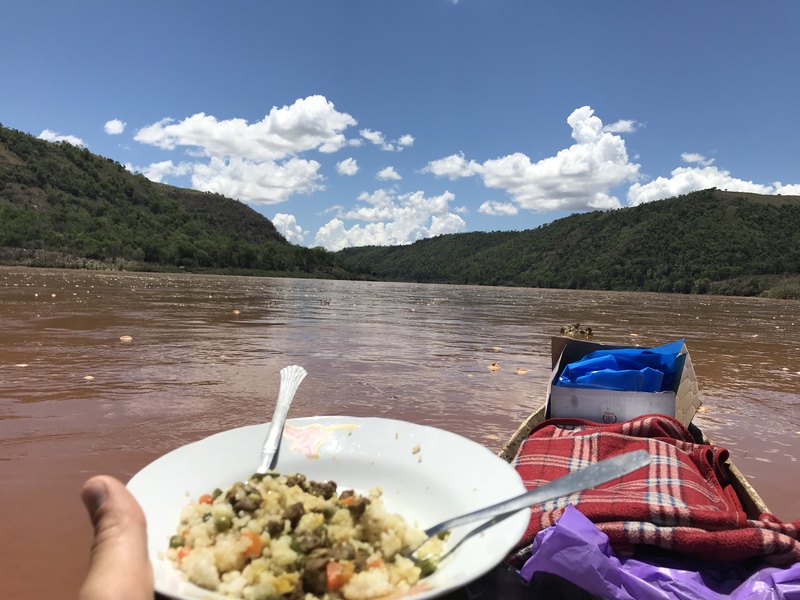 Over our 18 days traveling western and central-eastern in Madagascar we averaged $60 USD / day for two people: $10.30 food, $6.13 transportation, $10.31 accommodation and a whopping $34.32 for activities. The high cost of activities comes from average of 55,000 AR ($9.29) pp / day for park entrance and then 70-150,000 AR ($22-46) per day for a mandatory guide if doing anything inside a National Park. Things are 2x as expense booking through western guides beforehand vs in Tana. While booking activities onsite is often 20-60% cheaper than Tana. Traveling with a companion can definitely help get nicer accommodation and reduce cost. Hostels exist in Madagascar but are not everywhere. There are few middle cost options for travel in Madagascar. Flights are very expensive, rail only supports freight and then you have two classes of mini busses. There are other private booking options such as cars ($50-70 a day including return) and 4×4 vehicles ($90-200 a day) but they pretty expensive as well. The fastest I ever got anywhere by road, even over long distances on the national paved road, was 20 mph. Most towns have an airport but even buying these tickets domestically or from ‘a guy’ they cost $250 USD / pp and if not flying from / to Tana, you will likely have to layover in Tana. This means $500 to get from one city to another, one way. There are two primary companies that offer these busses: Cotisse and Sonatra. They leave at a specific times, don’t make stops except for bathroom and lunch and are more spacious. This means they can cover twice the distance as a less maintained taxi brousse in a day. They cost several times taxi brousse but are still reasonable at 25,000-50,000 AR ($7.72-$15.46 USD) Because credit cards are not a thing in Madagascar you have to buy the ticket at the office the day before, only one time did I see remaining seats the day of and this was shoulder tourist season. In Tana the Cotisse (where you can book any of the routes) is located near the North Ambodivona Station, taxi drivers know “Cotisse station”. The downside is that they only have 5 planned routes. So, I often found it worth it to book one of these busses and arrange to exit at some junction town early. This saves my knees and can get me somewhere in one day instead of two by brousse if not traveling at night. This is the transportation everyone takes in Madagascar to get between towns. At larger towns you can find them at bus stations on the edges toward their direction of departure (there are three stations in Tana). While in small towns there is one station, they stop on the side of the road at a specific spot or you have to hail them. These brousse leave whenever they fill up so you may end up waiting four hours to leave. We waited on average two hours. You can often get ‘direct’ brousse from one town to another which means they rarely stop. Sometimes direct means they drop you off at a junction and you take another brousse the other part of the way. The brousse range in quality from comfortable three seat / row sprinters to knee crunching five seat / row compact vans that leak. Its not uncommon for these to break down but typically drivers are good at fixing them with whatever they have. We only experienced one breakdown in 18 days. They can cost 2-15,000 AR ($0.62-$4.64 USD) depending on the distance. Expect the first offer to be 2-5x the local price so ask your hotel so you know what is reasonable. Breakfast outside Ramomafana. Our hot water had to boiled but we had fresh crepes for breakfast! Most of the hotels we booked were 30-40,000 AR ($9.38-$12.37 USD) and varied widely in quality. The worst was in Morondava and the best was in Antsirabe. Most places outside of Tana have water that can barely trickle out of the faucet with almost no water pressure. The same goes for the showers, making the bucket showers found in the countryside sort of preferable in order to rinse soap off. Outside of main cities the electricity is only turned on at night and some places don’t have outlets. The water similarly is turned on when you arrive and typically turned off at night. So you have to use buckets filled with water. Everywhere the water out of the faucet was clear so that we could use our steripen for purification. It was hard to find a reasonably priced place that was clean outside of larger cities in the west but easier in the central-east. It was often necessary to use our own mosquito net because the existing one had a rip or there was none whatsoever. In the West there weren’t middle options. You could either pay 20-40,000 AR ($6.20-$12.37 USD) for a semi-good place or 90,000 AR ($27.84) for a really nice place. Despite being here in the off season with only a few other travelers around there were no food or hotel discounts which was perturbing since otherwise these places have no business. All the mattresses here are foam due to the humidity and bugs and maybe import costs. Same goes for the pillows stuffed with foam chunks which bothers some people when they get a little dried out but not me. The bugs were not at all as bad as I expected. 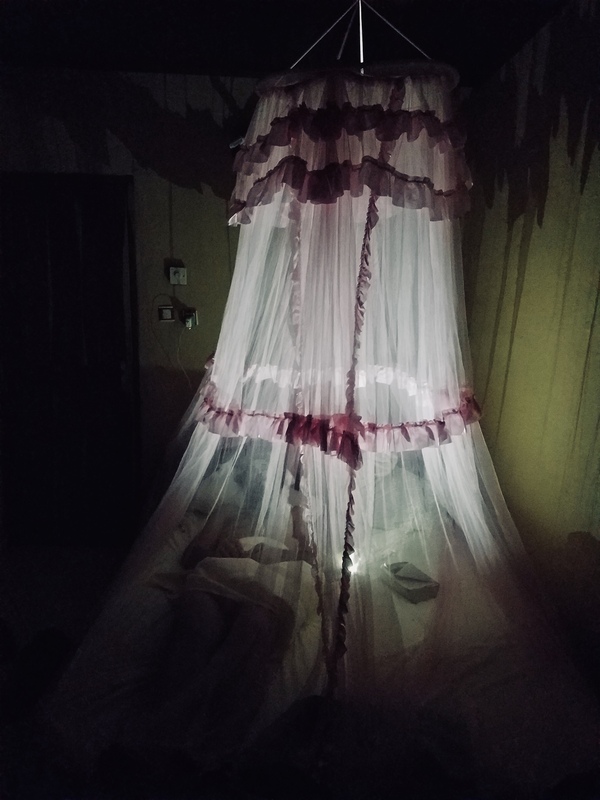 A few tiny, dumb mosquitos show up at dusk who’s bite are impossible to feel so bringing your own mosquito net to replace the nets damaged in hotel rooms is important. Other than that, there are many bugs but they do not attack you. Common flys when eating are probably the most bothersome. 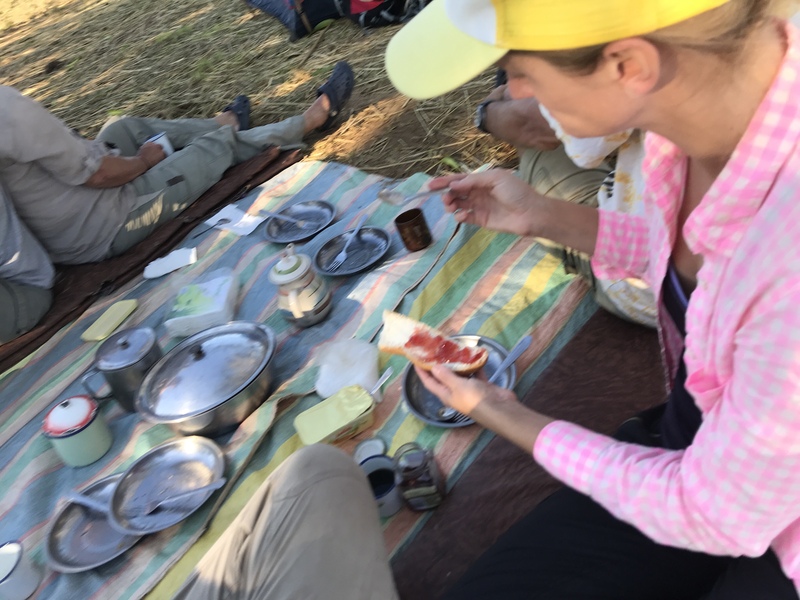 Food is typically a favorite of any visit and in Madagascar my highlight was probably the freshly cooked crepes served with intensely fragrant lychee honey I received one morning. Followed by an initial infatuation with the super fresh, cheap and abundant mangos. Until later in the trip when I got food poisoning I expect from something unclean with eating one. In general though I think it’s telling what Madagascar cuisine is like when I describe falling in love with plain white rice. The problem for me was that much of Malagasy food is either a thin broth meat stew over rice, French food or French fries. Neither were super flavorful or spiced. Familar things like pizza and zebu steak were served everywhere. However, the pizza is more like gas station pizza and the zebu steak can very greatly in quality regardless of cost. Probably the best part of Malagasy cuisine are the simple chow mein noodle dishes. It took me 7-10 days to fully recover from travelers sickness after being incredibly careful so I never got around to trying street food. The typical breakfast is a baguette (typically not stale) and jam that is 60% sugar according to the packaging. Luckily the local and common coffee was very good and fresh. Of shelf stable food you can buy are options of crackers, baguette, jam, margarine and sometimes the locally made potato chips. Needless to say, I wouldn’t call it a food travel experience for me and I spent my last few days in Madagascar craving the upcoming rescue of spice and flavorful cuisines I would experience flying to India.